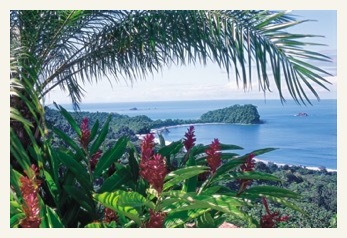 Costa Rica tours and custom travel programs for individuals, couples, families and groups. Explorations is proud to offer outstanding adventures that highlight the very best that Costa Rica has to offer with customized itineraries. Design your own unique tour to explore tropical rainforests, mountain cloudforests, towering volcanoes, tropical beaches, scenic rivers, wildlife sanctuaries, colorful gardens, country towns, and more. We specialize in customizing itineraries with private services for couples, families, and groups. For those wishing to extend your stay or customize your own unique itinerary, we can accommodate! Call and we can prepare a special quote for a trip to include your favorite activities or just a few extra days for relaxation and personal exploration. Options include river rafting excursions, horseback riding, mountain biking, trekking, turtle watching, water sports, exotic nature lodges and sportfishing. We can also arrange just airfare, transfers and hotel accommodations for an even more independent visit. For many people, Costa Rica evokes images of iridescent, blue morpho butterflies amidst a green carpet of ferns set under majestic, towering trees covered with orchids and bromeliads. Such images provide memories that last a lifetime. As often said; "The greatest tourist attraction in Costa Rica is Costa Rica". Costa Rica is a lively country full of scenic beauty and natural wonders; it is not a fabricated theme park. 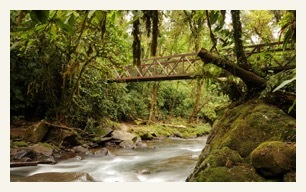 The varied geography, creating a multitude of microclimates and ecosystems, combined with a unique location between 2 oceans and 2 continents, makes Costa Rica one of the most biologically diverse countries in the world. The statistics of the wildlife and plant diversity are amazing, but not as amazing as seeing a colorful macaw or toucan close-up, or hearing the boisterous voice of a howler monkey. 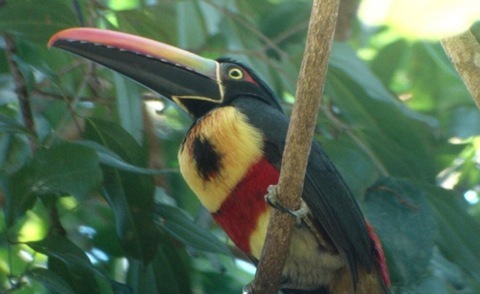 Costa Rica has long been regarded one of the world's premier nature travel destinations. In addition to the country's rich natural resources there is another significant reason it is such a great place to visit; the "ticos" or the people of Costa Rica. 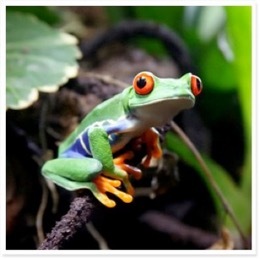 With its exotic plants and animals, Costa Rica may seem strange to many, but the gracious ticotravel "at" GoExploring.coms make it difficult to feel like a stranger. The friendly people of Costa Rica have much to be proud of. They have enjoyed over 100 years of democracy and have not had a standing army since 1948. They now have 12% of their land in national parks and another 15% is protected in private reserves. Costa Rica's accomplishments in nationwide healthcare and literacy places it among the most highly developed nations. Its commitment to conservation and peace makes it a leader in the world community. Our Costa Rica Exploration explores a wide range of ecosystems and wildlife habitats; from mountain cloud forests to tropical beaches. It has a strong focus on learning about the different geographical areas and ecosystems visited. The goal is to explore Costa Rica's grand diversity with an itinerary that is conducive to the discovery of nature's secrets and to achieve a better understanding of the Costa Rican peoples.